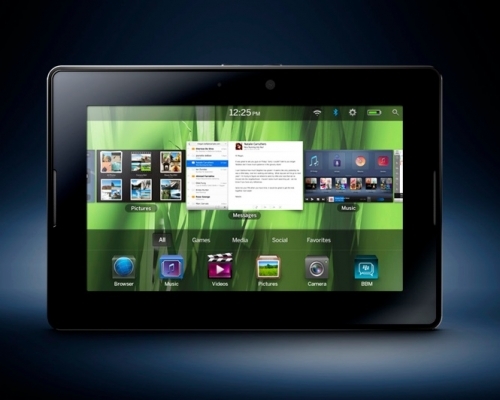 BlackBerry PlayBook to run Android Apps | BlackBerry Blast! Is RIM planning to allow the BlackBerry PlayBook to run Android apps? According to BusinessWeek, that's exactly what Research In Motion is planning to do. BusinessWeek says three people familiar with the situation have said that RIM will allow Android apps to run on its upcoming BB PlayBook. We've heard these rumors before, but now BusinessWeek is chiming in. "RIM plans to integrate the technology with the PlayBook operating system, giving customers access to Android�s more than 130,000 apps, said the people, who asked not to be identified because the effort isn�t public. RIM, after looking outside the company, is developing the software internally and may have it ready in the second half, two people said." It sounds like RIM will not use the Google Dalvik engine to run the Java apps on top of QNX. This would be a fantastic move by RIM, as long as running the apps was native, or at least seemed native. Having to run some emulator won't really work well. If RIM can develop the software internally and make it seamless, that would give the PlayBook a leg up against other tablets. Stay tuned.